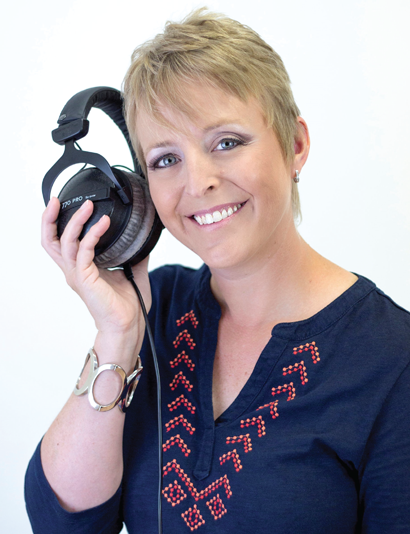 Respected for her 15 years of public speaking expertise and as an educator with a sought after engaging personality, Dana has been bringing her talent to the world of voiceovers for the past seven. Voiceover is her livelihood. She has extensive experience in theater, performance in vocal and instrumental music and engaging audiences numbering 10- 500. Dana understands how to interpret and connect with the copy so that it does what you intend it to do. She has a classic, mid-Atlantic neutral American sound. Clients and producers appreciate her ability to take direction, provide consistent delivery of quality reads, and her pleasant, professional sound and demeanor. She delivers exactly what you need, with as much or as little input and direction as you would like to provide, within the time frame you need it and everyone will have a great time in the process! Check out Dana’s demos to hear just a few examples of her phenomenal versatility! She has a voice that is likable, pleasant to listen to, trustworthy, and fun! You deserve the best quality possible in the voice that represents you – believability, warmth to invite the listener, and authority from someone who believes in what you have to offer. Dana works out of her professional recording studio near Pittsburgh, PA. Contact her to request a free voiceover audition demonstrating how she can tailor her skills to your needs. She will provide professional audio files that meet your specifications, no matter where you are, and within your budget. Dana Rizzo looks forward to providing you high quality, affordable voiceover services.